Founded in 1963 by Sante Mazzarolo, Alpinestars has come a long way. Growing side by side with a relatively new sport called Motorcross at the time, Sante applied his talents as a technical expert to create a new type of footwear that would be ideal for this sport. Seeing an opportunity with this sport across Europe, Alpinestars successfully changed the face of motorcycle racing and then later riding. With great Alpinestars reviews and strong goodwill, the company caught the attention of Roger Decoster early on. The former Belgian world champion eventually went on to become one of Alpinestarsâ€™ first brand ambassadors and sponsored athletes. Fifty years later, Alpinestars has helped athletes in numerous world championships by creating high performance and protective footwear. Aplinestars uses only the highest quality materials and the finest construction techniques to create its motorcycling gear. Its focuses on specific features and aspects that help ensure superior production and selling standards. Made to Measure â€“ Every set of leather is tailored precisely to meet each riderâ€™s individual requirements. This is to make sure that in the event of a crash, all safety features are in place. A good fitted suit makes sure that the force of the impact does not dislodge the protective armor off the body. Top Grade Materials â€“ Alpinestars only uses the finest grade materials. 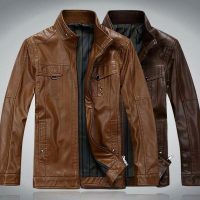 In most cases, the primary material used is cowhide, though with some models kangaroo leather is also used. Bovine is frequently used because of its high tensile strength qualities. The bovine used in Alpinestarsâ€™ clothing is usually between 1.2 and 1.4 mm thick offering defense against scratches and abrasions. Construction – To ensure maximum protection, Alpinestars pays special attention to the flawless construction of its products. Particular attention is given to key contact points on a riderâ€™s body when they come off the bike in case of sudden impact. These points include the knees, elbows and shoulders. These are made from exclusively formulated thermo plastic and are specifically designed to help keep the rider safe. This helps distribute the effect of impact over a wider area, making injury to a particular point as minimal as possible. Unique Airbag System – Alpinestarsâ€™ takes safety seriously with its new inbuilt airbag technology. Designed for the ridersâ€™ upper body protection, it inflates to about 4-5 cm and acts as a cushion, upon deployment. All these products are available in a number of styles, colors and designs to make sure that there is something for everyone. Needless to say, every single product follows stringent quality standards. It is these fine raw materials, combined with superior construction techniques and intelligent market placement that is responsible for positive Alpinestars reviews all over the world.